The Synth-1 allows you to create fuzzed-out synth waves! 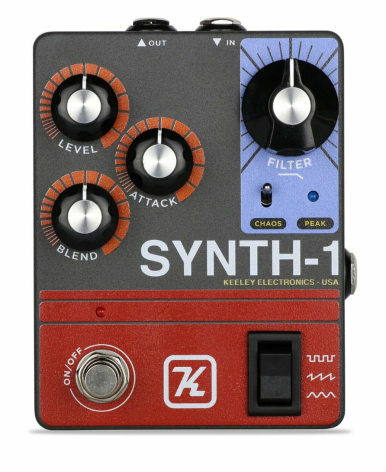 Use the Filter and Blend controls to mix your guitar with the fuzz from the synth. Go from churning slow-gear reverse swells to sounding like a light saber. 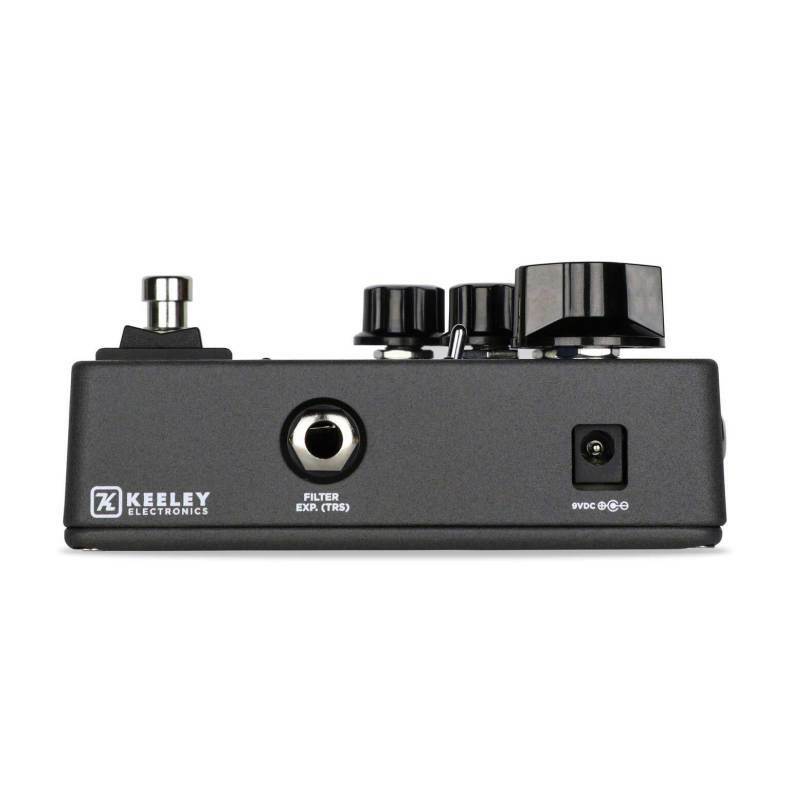 The Keeley Synth-1 is a guitar-triggered, single-note wave generator. You control the tone of the wave with the Filter Control. The lead-in time or swell of the note is controlled with the Attack knob. Then use the Blend control to remove the natural tone from your guitar as you slide through synth-sounding fuzz waves. Use an expression pedal to control the Filter, and now you have Wah-Wah-like control of the Synth-1. Reverse Attack - Volume Swell Effect - put your guitar in slow gear! Wave Selector - change wave modes on the fly with your foot!